This week, the ASCMC Executive Board discussed the misconduct of non-CMC students at ASCMC events, declared the budget to be in a good state and went over constitutional changes on numbering and voting rights. The Board discussed the presence of 5C’s at CMC, specifically misconduct and lack of respect linked to high intoxication on the part of non-CMC students. Assistant Dean of Students Devon MacIver, who was present at the meeting, suggested the reason for a difference in behavior when intoxicated across campuses could be differences in policies towards alcohol consumption. Scripps and Pomona are known to be strict as opposed to CMC and Harvey Mudd, which is why students tend to come to CMC to party said Mclaver. The Board reviewed Fright Night (TNC) that took place Thursday, Oct. 26. Events Commissioner Alanna DeMuro ’20 was in charge of the event. DeMuro said the event went smoothly but was not well attended because of the pregame on Green Beach. Despite this, ASCMC President Sami Malas ’18 and the Board congratulated the team on the organization of the party. The board discussed solutions and decided to inform the 4C student bodies of their students’ behavior on CMC’s campus. Dormitory Affairs Chair Josh Guggenheim ’19 suggested also sending out an email to the CMC community to promote a sense of community and awareness. CFO Whit Lippincott ’19 informed the board that the budget is overall in a good state. He noted that taxes that were not paid for the last two years have been covered this year. The Board also discussed Constitutional changes on whether email chains and GroupMe conversations should be public, whether the Clubs and Organizations chair should get voting rights and numbering issues in the document. Malas encouraged all members to read the constitution and go over the changes, which will most likely be enforced when the next board comes in. Class of 2021 President Johnson Lin declared the Pumpkin Carving event a success, gave updates on the final draft of the class T-shirt and debriefed others on his meeting with The Hive on potential art workshops. Malas debriefed the board on his and ASCMC Executive Vice President Patrick Elliot's ’19 work on roundtable discussions aimed to set standards for how the Board members engage with one another. Malas also spoke of the Class Presidents’ discussions on an all-class service project next semester. Malas and Elliot also declared their meeting with faculty members a success, as many faculty members attended to learn about ASCMC and its functions. During Open Forum, Events Commissioner Jesse Jennings ’19 highlighted the need for a position manual for every position on the ASCMC board to guide people in those positions next year. Elliot suggested a debrief on the Pitzer Concert on Saturday, October 29th. It was noted that the event went smoothly and pre-games at Wohlford and Appleby were well-decorated and organized. 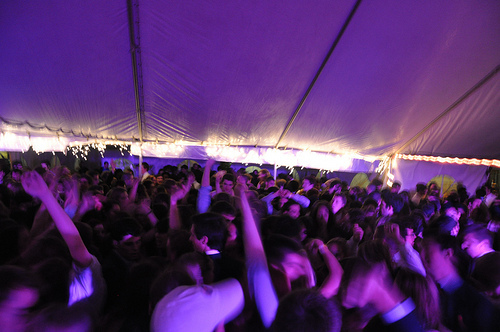 However, Vice President of Student Activities Chandler Koon ’19 pointed out that a lot of people spent their time taking care of other people, indicating high levels of intoxication. The meeting concluded with Elliot reaching out to the Board to increase partnership and collaboration between ASCMC and the Senate, which was met with approval by all board members. Update: CFO Whit Lippincott ‘19 said that as a non-profit organization, ASCMC is required to file a 990 with the IRS each year. However, three fiscal years ago, the form wasn’t filed, which meant that the $9,000 fee was paid from this year’s budget. “There are probably lots of different reasons why they were not filed, but I do not have the information to answer why specifically since I wasn’t on board that year and I haven’t come across information about why it wasn’t filed either,” Lippincott said. “[Last year’s CFO ] Issa started getting them prepared before he left office they just weren’t finished by the time I came into the position."